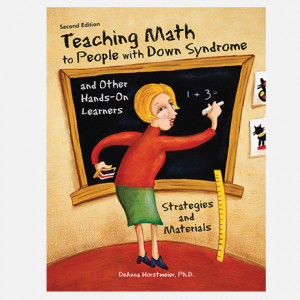 Revised and updated, this compassionate and authoritative guide is based on Libby Kumin’s more than thirty years experience working with children and adolescents with Down syndrome and their families. Dr. Kumin draws on her vast experience to show parents how they can support and encourage their child’s speech and language development from birth to age 6 (or when a child can form 2- to 3- word sentences). Parents and teachers learn how to work through characteristic challenges, including hearing loss, intelligibility issues, apraxia (difficulty planning oral-motor movements), or a slower pace of development. Families soon see that many children with Down syndrome are natural and willing communicators. In a warm and conversational style, the author shares her professional expertise in parent-friendly terms. 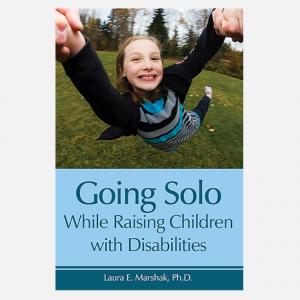 She uses specific examples of difficulties and successes to illustrate the concepts behind speech and language development, and includes the latest research supporting current early intervention and preschool approaches that can be used at home and in schools. 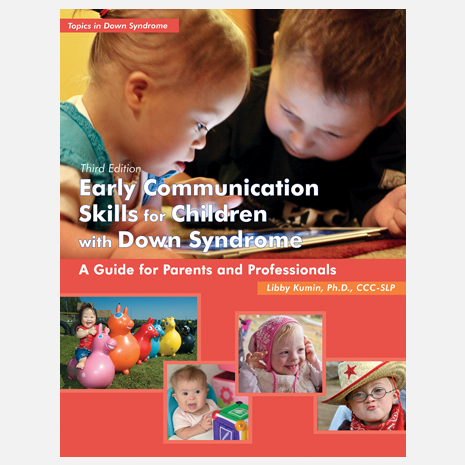 This third edition of Early Communication Skills for Children with Down Syndrome features expanded information on the needs of children with apraxia, dual diagnosis of autism and Down syndrome, and updated terminology and information on special education law. An expanded chapter explains how technology and augmentative and alternative communication (AAC) can help with speech and language, foster communication, and provide inexpensive transitional language systems. And there’s an online supplement of over 30 helpful forms! Use these for assessment, developing treatment plans, and keeping detailed records of progress. Teachers, speech-language pathologists, and parents will appreciate the forms for IEP meetings or periodic evaluations—see below. Libby Kumin is a professor in the Department of Speech-Language Pathology/Audiology at Loyola University in Maryland where she founded the Down Syndrome Speech and Language Center for Excellence. 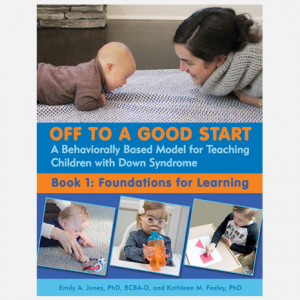 She is the author of several books, chapters, a DVD, and many research articles on communication skills in infants, toddlers, children, and adolescents with Down syndrome. She is well known as a speaker at professional and parent conferences across the country. Download the online supplement of forms to organize information for IEP meetings or periodic evaluations.